FYI: I am posting an epic and awesome monthly link love post in the beginning of each month to keep us, you as well as me, inspired for the entire month. Bookmark this post and go through it all if you want to, there is a lot of inspiration, knowledge and ideas that I think are worth sharing here. With the monthly post Inspiration en masse I bring you a lot in just one post, so if you get anything out of it I’d love to know. Or if you go visit, tell ’em iHanna sent you. 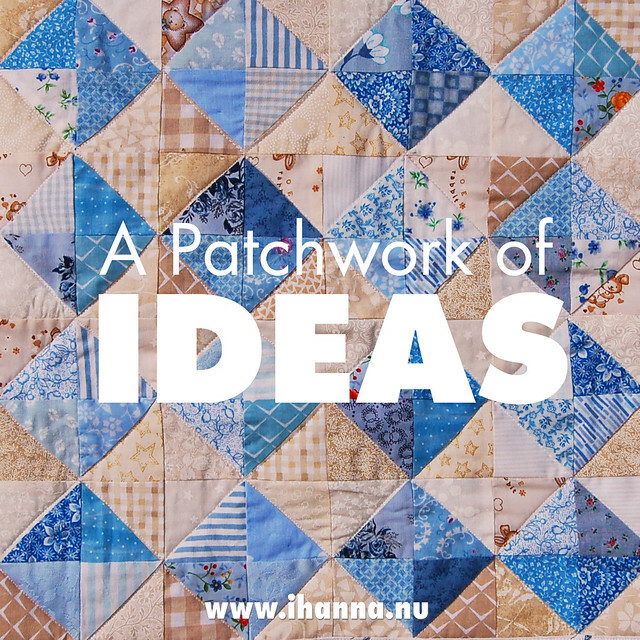 I think ideas are like patchworks, the first one supports the next and the more inspiration you take in the more ideas for your own projects you get. Right now I’m into patchwork because I’m the new Editor in Chief for a quilting member mag here in Sweden. It’s published four times each year, and I’m excited to learn new things about the world of quilting. Here are some of my resent inspirational finds. Postage Stamp Quilts by Red Ped Pepper Quilts, old tutorial but just looking at these colorful fabrics makes me want to sew, sew, sew! Casey the Crab free pattern, a softie made in patchwork, designed by the awesome and always inspiring Abby Glassenberg. Half-Hearted Quilt – with a free pdf-pattern! Very pretty. Wearing the Pages of a Sketchbook – love the art of Isa Beniston! 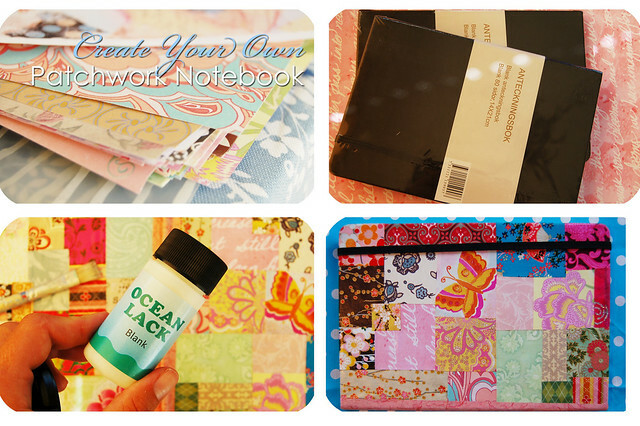 Paper Patchwork Postcards – check out my tutorial on how to make paper patchwork here. Painting a statement wall – tips and tricks from Alisa Burke. I think I need to put this one on my bucket list! 21 Healthy and Portable Energy-Boosting Snacks – yes please! Go Tell It at the Quilt Show – inspiring about video documentation of quilts, told by Abby again. Maybe you saw my “first” Youtube video and understand why my interest is peeked? This would be so much fun to do in Sweden! Why you should post videos on Instagram – it sounds like a good idea really, the only reason I haven’t done it because I like videos separate from viewing images – but I do understand why this format is growing on Insta… What do you think, should I try it out? Twitter Moments – more storytelling, with links and images but on Twitter? Oh my. Why do I feel tired all of a sudden? Big Eyes is a movie from 2014, but I just watched on Netflix, and really liked it. It’s based on amazingly crazy but true story about this guy who claims he wants to be an artist, but he doesn’t paint. Instead he starts telling everyone that he is the creator of the “big eyes” that his wife is painting! And this goes on for years, while the paintings are selling all over the world: From visionary director Tim Burton comes the outrageous true story of one of the most extensive art frauds in the 20th century. Check it out if you have the chance, I loved the rather happy and empowering girl power ending. Quiet – The Power of Introverts in a World That Can’t Stop Talking, by Susan Cain. I listened to it as an audio book, to shut out the noises of the world around me, and it was perfect for that! I wanted to read this book because it’s been such a huge success, but was suprised to fall in love with it! It’s about how we as humans function in the world, and that is one of my favorite topics to read about. It’s about how we’re all the same, but also very different and how we have different needs, how introverts can’t compete in schools geared towards only extroverts and how hard it is to have to pretend to be the same as everyone else, when you don’t fit in anywhere. It’s a great read. Read it if you have the chance. You Need To Do a 30 Day Challenge – so why not try this one? And lastly a word from something that might sponsor a new blog post in the future, hehe, this class I’m taking. 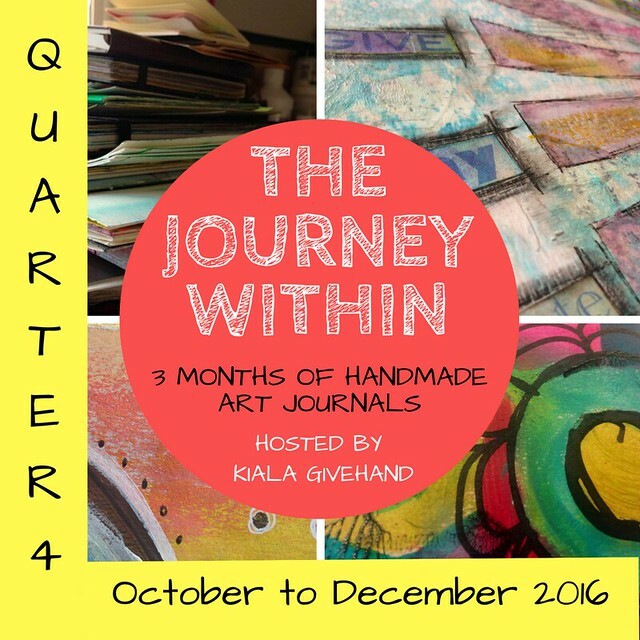 You can get a whole year of journaling & bookbinding with us in this class (you might remember that I’m one of the teachers) in this journey with Kiala Givehand, or get the next quarter right now and be inspired all the way to Christmas, coz The Journey Within continues. Please don’t miss all the cool videos and links in previous Inspiration en Masse-posts if you’re new around here: January was titled A Year of Making, February was the month of Self-Love and Self-Compassion Ideas, March Creating Creative Kids and in May we had Make Something! Suggestions for themes and links welcome. Also feel free to like and follow Studio iHanna on Facebook for even more inspiration there – all year long. And I’m iHanna on Pinterest and iHannaS on Instagram. PS: You can sign up for the best DIY Postcard Swap starting next week, so stay tuned. I’ll let you guys know, here and via the Newsletter if you’re signed up. This entry was posted in Inspiration, Quilting and tagged inspiration en masse, inspiring me, quilt. Bookmark the permalink. Lots of great links here; great way to start my Sunday! So much inspiration in one post! Thank you Hanna.